Highland Gold shares fell on Friday after the miner reported its full-year results. Revenue for the year to December end was £311,153, down slightly from the £316,682 reported a year ago. Meanwhile, operating profit rose to £109,186 compared to £102,202 a year before. Earnings before interest, tax, depreciation and amortisation came in at £153,060, falling from £155,275 the previous year. Net profit totalled £56,084, compared to 65,855 the year before. Highland Gold also said that earnings per share were $0.154. With regards to output, the company said gold production fell marginally to 269,500 ounces during the 12-month period. Nevertheless, the AIM-listed company said that total cash costs were ‘steady’ at $506 per ounce. “Highland Gold is committed to growth, both organic and acquisitive, and I am pleased to report that 2018 and the early months of the current financial year have witnessed significant developments on that front. 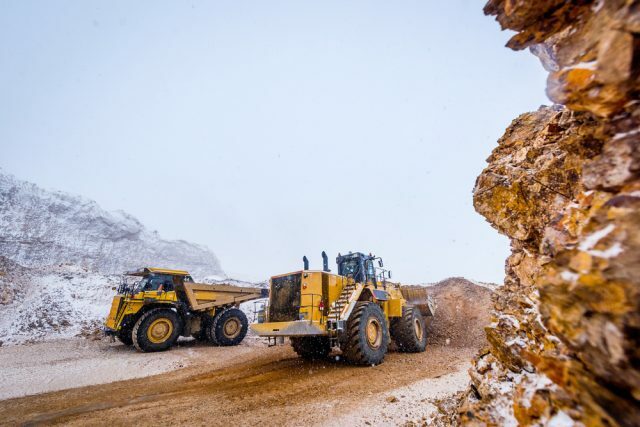 The Company’s recent corporate highlights, namely the purchase of the Valunisty gold mine and the seven-year ‘Life of Mine’ extension of MNV, as well as the ramp-up of construction at Kekura, reflect key aspects of our overall strategy to capitalise on Highland’s valuable and substantial asset base. Shares in Highland Gold (LON:HGM) are currently down -2.36% as of 11:55AM (GMT).